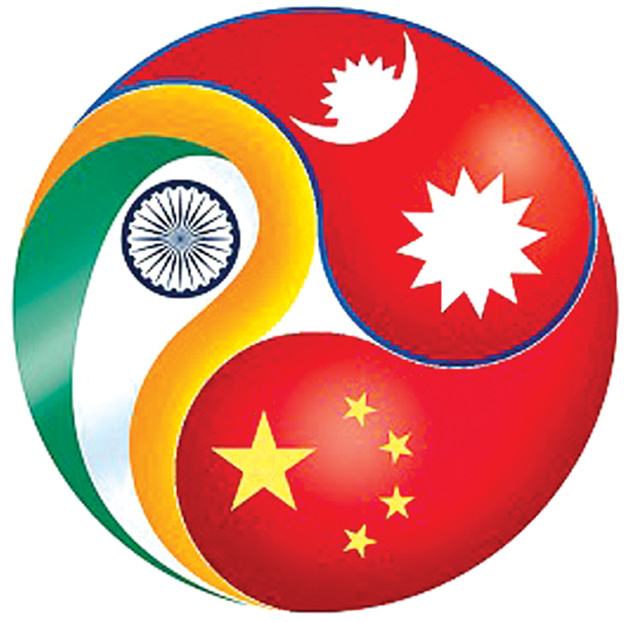 Prime Minister Pushpa Kamal Dahal proposed a trilateral strategic partnership during a purportedly impromptu meeting with Chinese President Xi Jinping and Indian Prime Minister Narendra Modi in Goa last week during the BRICS-BIMSTEC Summit. The get-together became public only because Prime Minister Dahal’s son, Prakash, took a picture of the three on his mobile phone and posted it on Facebook. In an official statement, the Indian Ministry of External Affairs hastened to clarify that it was a ‘coincidence’, and not a trilateral meeting at all. But back home, Dahal scored brownie points because it could be used to allay public perception that he owed his job to New Delhi. He also managed to partially remove the negative impression back home caused by the cancellation of Xi’s proposed visit to Nepal. Historically, India has preferred to do business bilaterally with its neighbours on security and natural resource issues. But Nepal’s prolonged instability and the possibility of land routes joining China and India via Nepal may be beginning to change this stance, experts say. Upon his return to Kathmandu from Goa on Monday, Dahal said both India and China were positive about the prospect of Nepal being the conduit for a new trade route. But what we don’t know is whether the issue was just discussed or whether there was any concrete proposal. Historically, Kathmandu's relations with its two neighbours has been fraught. Beijing and New Delhi have their hands full with more pressing concerns and are trying their best to keep their mutual border dispute in deep freeze, and also to ensure that Himalayan buffer states like Nepal don’t become another flashpoint. However, the Indian blockade last year altered this equilibrium. Under Prime Minister K P Oli, Nepal sought actively to forge new land routes for trade to diversify its options. China obliged by a symbolic gesture of gifting some petroleum that was delivered via Kerung and then dispatched a trainload of containers to Xigatse with Nepal-bound goods. The Oli government signed a landmark Transit Transport agreement with China giving Nepal access to Chinese ports, and Beijing is proceeding to bring the Qinghai-Tibet railway to Rasuwa border by 2020. However, the Indian media’s overwrought headlines about ‘Chinese Inroads into Nepal’ made it clear that New Delhi wasn’t at all pleased and wanted Oli out of the way. Soon after Nepali Congress leaders visited Delhi in May, the party switched sides to form a coalition with the Maoists, essentially pulling the rug from underneath Oli and the UML. 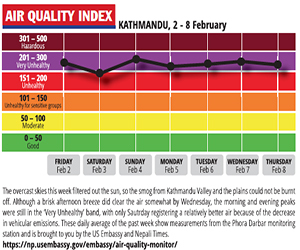 For its part, Kathmandu analysts have highlighted India’s perceived attempt to “Bhutanise” Nepal. As the largest foreign investor in Nepal and the country with which Nepal does most of its trade, India is seen to be averse to Kathmandu seeking alternative trade routes or sources of petroleum supplies. The Chinese, on the other hand, are stressing connectivity as part of President Xi’s 'One Belt One Road' initiative to revive ancient Europe-Asia trade routes. Nepal is seen to be an ideal corridor for land routes between China and India, even though it is more expensive than sea lanes. Analysts say that some in India have realised it went too far with punishing Nepal with a five-month blockade last year, which prompted Kathmandu to seek alternatives and pushed Nepal closer to China. New Delhi wants to bring Nepal back into its fold. Sino-Indian relations have also been buffeted by growing tension between the United States and China. Modi’s visit to the US earlier this year gave a geopolitical tilt to Indian policy vis-a-vis China. Washington is therefore keeping a more watchful eye on Nepal because of its own interests in Tibet, and anxiety about China’s rise on the world stage. With shifting geopolitics, analysts like Koirala and Pandey say that if Nepal wants less interference from foreign powers and benefits from future trilateral trade initiatives between India and China, it needs to ensure stability by ending the political uncertainty over the constitution. The implications of the tripartite meeting in Goa is still reverberating in Kathmandu, and Ramesh Nath Pandey for one refutes the Indian explanation that the meeting was just a coincidence.